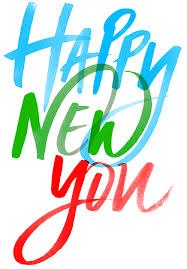 On behalf of the Board of Directors and Committee Chairs of the NCMA North Texas, please let us be one of the first to wish you "Happy New You" for 2018! Wait, you say, don't you mean "Happy New Year" for 2018? No. We meant what we said. We want to help to make 2018 the year you start again to Accelerate Your Career. Our passion, the thing that drives everything we do, is to offer you, the North Texas Contracts and Supply Chain managers, opportunities to Accelerate Your Career, in whatever way that is important to you. Do you want to make a job change this year? Do you want to get certified by NCMA in one of their several certifications this year? Do you want to expand your network of professional colleagues and friends? Do you want to learn something new to help you be better in your current role? Do you want to be a mentor? Do you want to find a mentor? In whatever capacity you want to Accelerate Your Career, we are here to help. Growing careers in acquisition, and maturing the North Texas acquisition workforce, is what we are striving for. So, again, I personally offer you "Happy New You" for 2018. Let us be a part of your career growth. I can't wait to see the remarkable things you are going to accomplish this year! If we can be of any assistance, of if there something we could be doing better, simply drop us a line at info@ncmadallas.org or call us at 469-630-1050. See you soon at one of our upcoming meetings!